Commercial – B-D Construction, Inc. The construction of this project involved integrating a pre-engineered metal building with a conventional steel structure. The project encompassed a 7.5 acre site located on the East end of Columbus and included a turning lane off the highway and a frontage road for ease of access. The new location allowed the owners to expand their showroom and outside sales areas, combing everything in a single location. 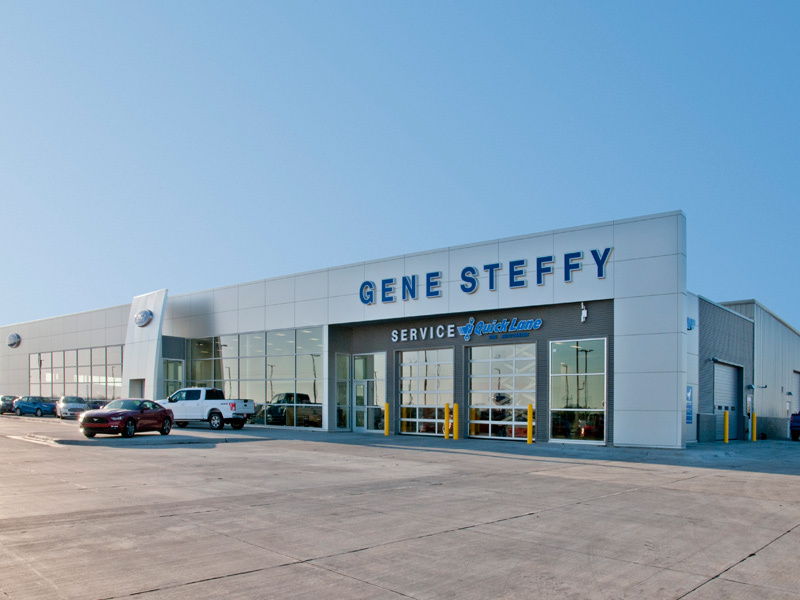 The new building also featured a quick lane drive up and service center to better accommodate customers. The service area is complete with air conditioning to allow for a more comfortable working environment for employees. The service area also incorporated a taller ceiling to allow the service staff to work on larger vehicles. A pre-cast concrete wash bay was also part of this project’s construction. 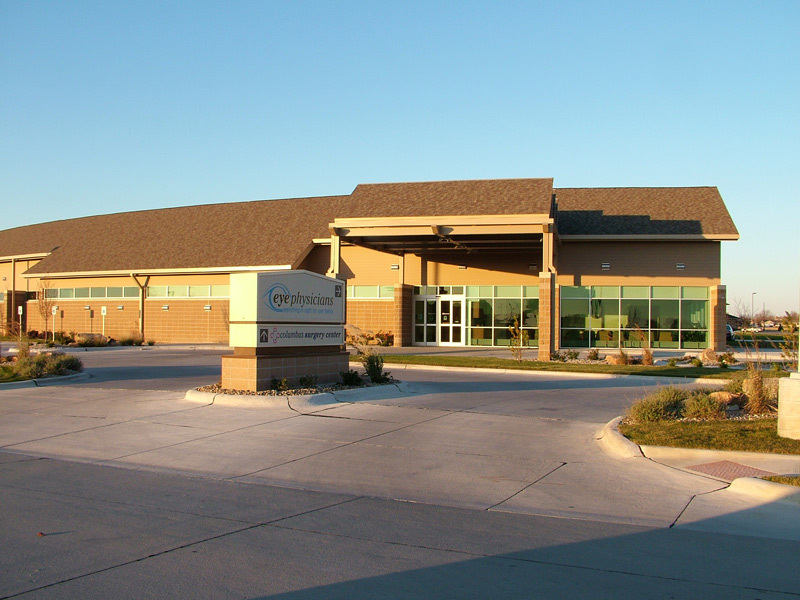 The owners of Eye Physicians had outgrown their existing facility and elected to expand their current location at the time did not have room to accomodate expanding. With the expansion, they also wanted to include a surgery suite to compliment the eye clinic, and allow more flexibility in scheduling eye surgeries for their patients. This project was unique in that the front face of this structure, including a detached drive-up canopy, was constructed on one large radius plane. With the surgery suite requiring specialized HEPA filters and air capacities, the overall sizes of all the equipment were larger than a typical medical office building. The project involved pre-cast concrete wall construction of a new residence hall on the Central Community College Campus- Columbus, NE. The master plan allowed the college to locate the building and plan services so that future construction would not require removal of current construction and that utilities would be sized appropriately for future needs. The design solution consisted of 18 student rooms, housing up to three students each, and support spaces. Precast concrete was used for speed of construction and superior insulating value while maintaining a cost comparable to wood frame construction. The building will serve as a prototype for future housing development on the campus. The total building measures 120 feet by 450 feet, with a total of 54,000 square feet of exhibition space on the ground level. The new office suite on the second floor covers a 10,800 square foot area. 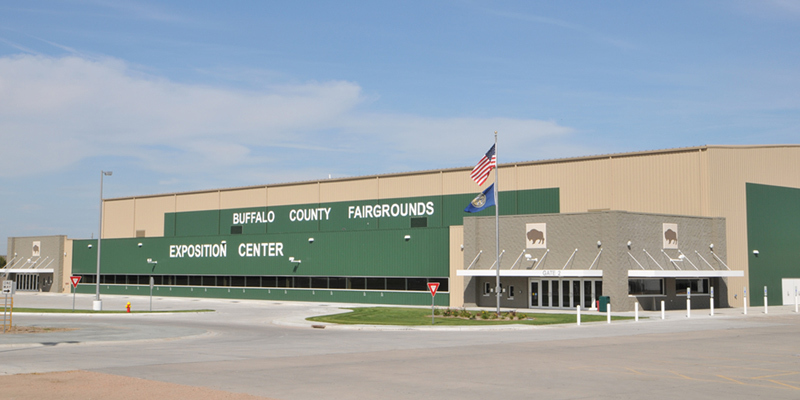 The second floor of the facility houses the Nebraska State Fair Administration offices and board rooms, while the lower level houses a number of new exhibit areas, including a permanent exhibit space for Nebraska Game and Parks. The game and parks area includes a portable aquarium of Nebraska fish, archery, target shooting and other exhibits. 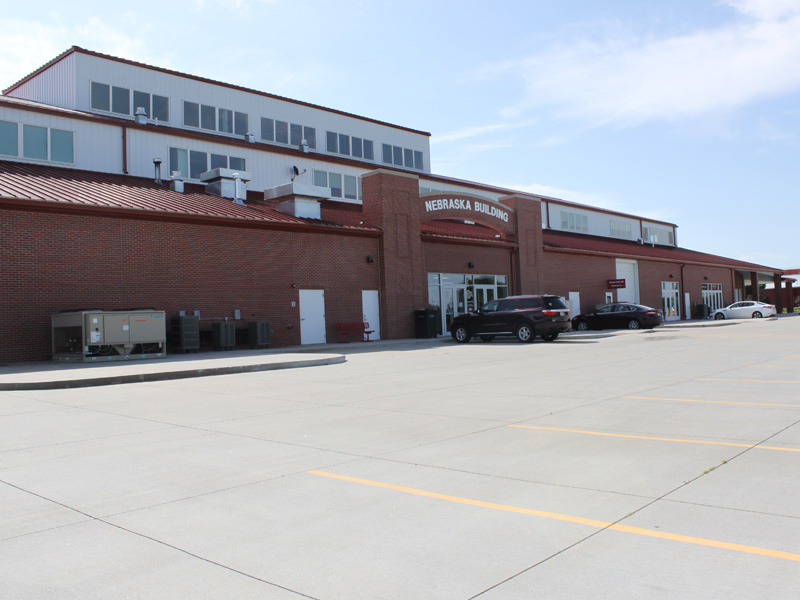 Other areas of the lower level include the Nebraska State Fair Historical Museum and University of Nebraska Ag Center. This Pump and Pantry was the first store in the Fremont, NE area. The owner chose to construct the building on the East end of town near major highways. The building site was constructed in a low lying area, which required extensive amount of earthwork and dewartering to allow for underground gas tank installation. This was the first prototype construction of the new look for Pump and Pantry stores which features a turret-and-castle like look. 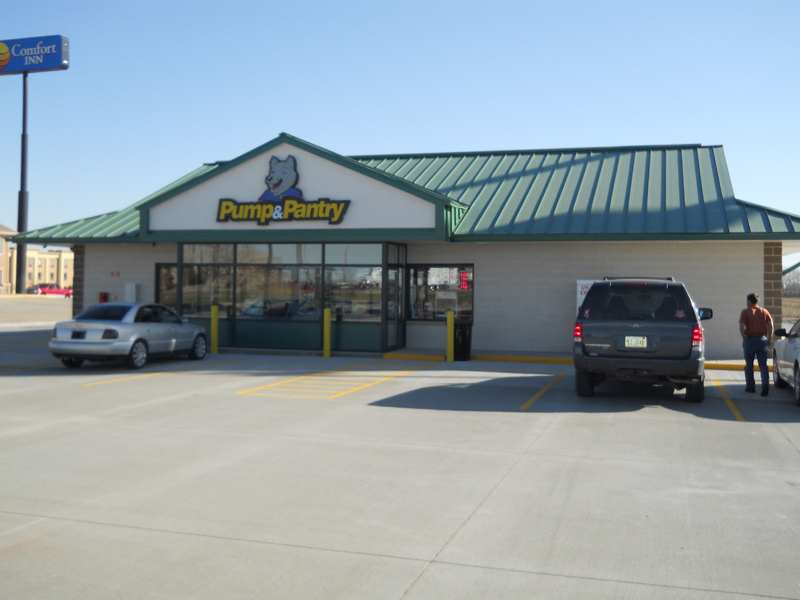 We have also completed other Pump and Pantry’s for this owner in York, NE and Chapman, NE. 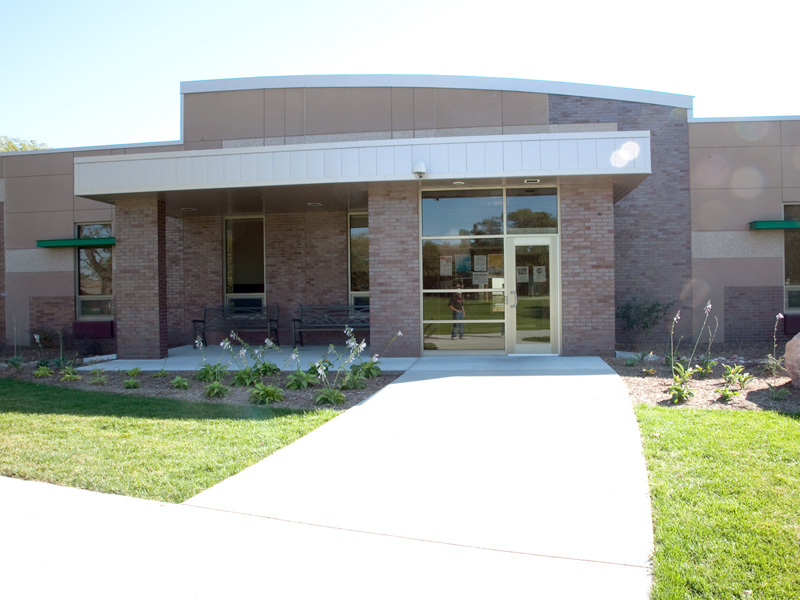 The project was unique in that it combined a pre-engineered metal building structure with a masonry and eifs exterior. The building contains a covered drive thru for customer convenience as well as full retail store. 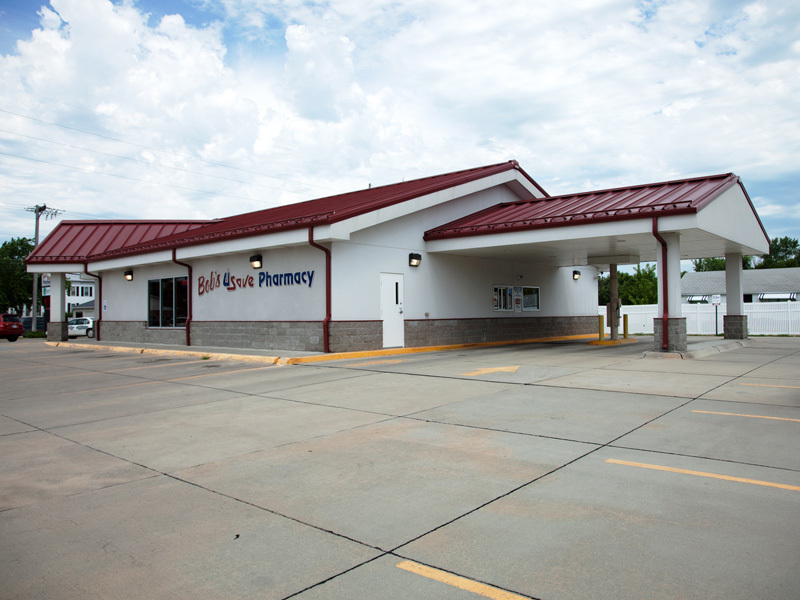 We were able to incorporate different roof designs and layouts into the pre-engineered building, which enhances the overall curb appeal of the building. 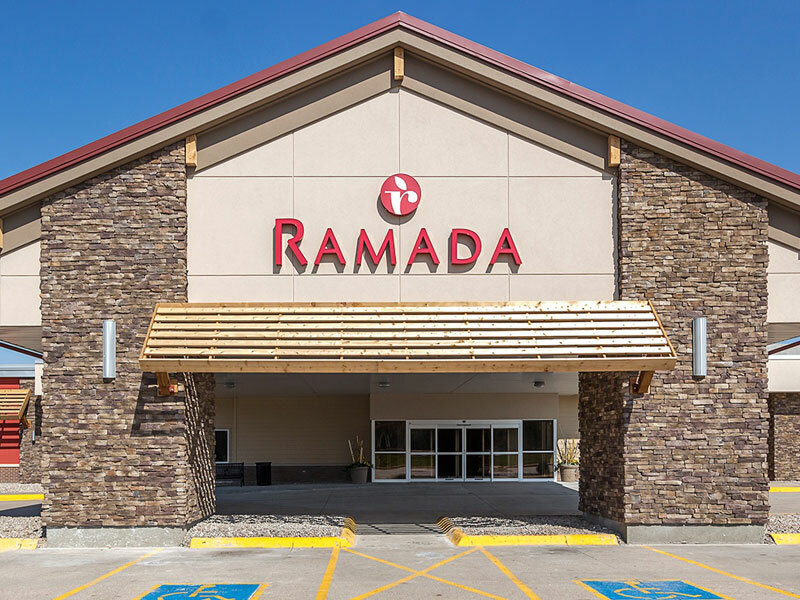 The new Ramada Inn and Rivers Edge Convention Center takes the place of the former New World Inn, a landmark in Columbus, NE history. The owners wanted to completely renovate both the interior and exterior of the facility in a two phase project. The first phase included complete renovation of over 140 guest rooms. The second phase of the project included complete renovations of the all public areas, meeting rooms, convention center, restaurants and lobby areas. The exterior of the building was also completely re-done during phase two which added modern stone and eifs to the exterior. Truck Center Companies hired us to build two new facilities in Columbus and York in 2011. 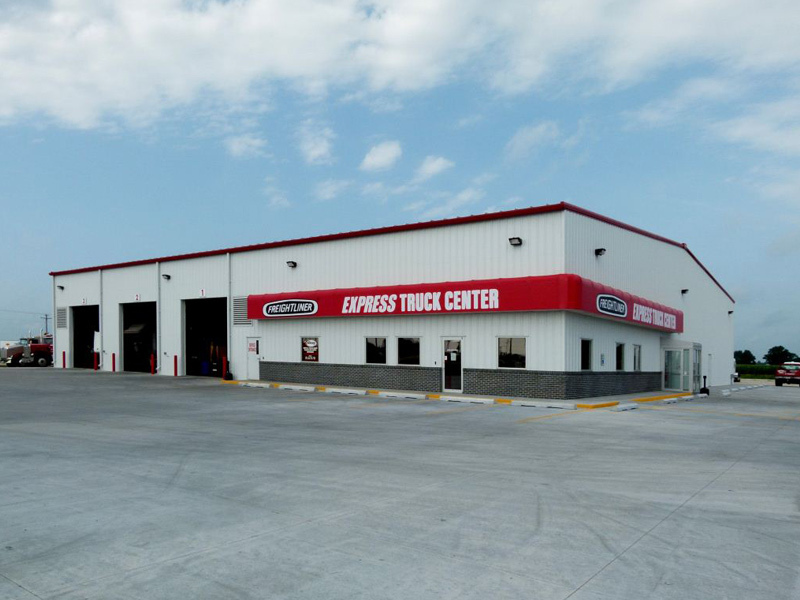 The new facilities allowed Truck Center Companies to meet the demanding needs of their growing business and customer base. Each building included six service bays and new office space for the staff. The buildings were constructed using Behlen pre-engineered steel and included storage mezzanines for additional storage of parts and equipment. The York facility was added onto in 2013 to incorporate four additional service bays. 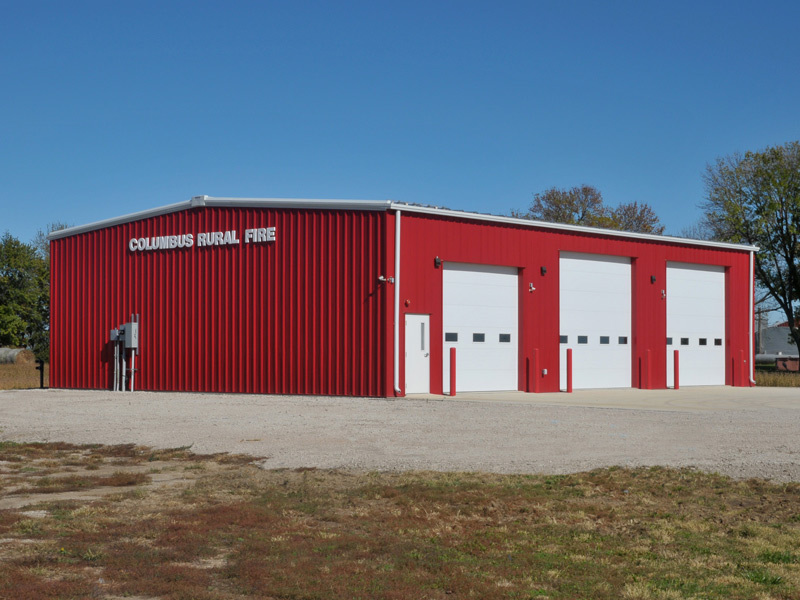 This project utilized load-bearing precast walls with a membrane roof to house a two story office area, repair shop, and warehousing area using racking systems. This project used on in-floor hydronic heating system for the shop and warehouse areas. Items that made it unique are the radius glass curtain wall system in the front corner, with an exposed stairway following that radius to the second floor. The stairway also had radius glass railing and the entire entry, including the stairs, were covered with marble. The project delivery method was unique in that we competitively bid the foundations, concrete, floor, structural steel, precast, and erection. The owner subcontracted earthwork, exterior concrete, mechanical and electrical. The remainder of the project was awarded to us on a cost plus basis due to design of interior not being finished, so we did assist the owner and architect in design build to finish the building.